View the History of The Cedarbrook Society from 1995-2014. Maggie Waligora had a vision for the Cedarbrook Home and her significant efforts are where it all began. She was the original champion of the cause and she worked tirelessly to promote it. The Early Years were filled with enthusiasm, drive, fun and perhaps some as to the complexity of establishing the Home particularly as it related to zoning, licensing, renovation costs and government funding. The original home, although initially holding out much promise as an ideal home-like setting, soon revealed serious challenges as to the cost to renovate which ultimately necessitated a new design. 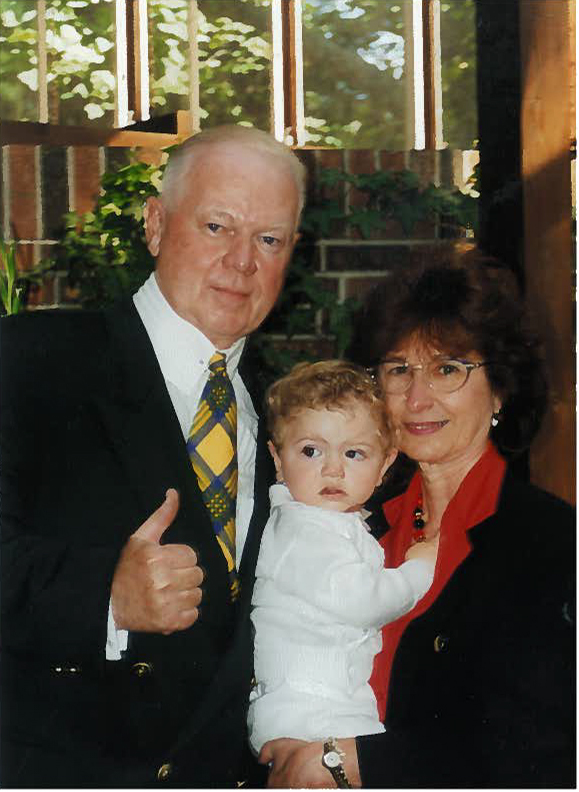 During times of uncertainty there was always an angel waiting in the wings to help; the MacLean family who helped mortgage the original property, the Bowker family who filled our propane tank so the pipes wouldn’t freeze, and countless others who believed in our vision and gave us what we needed to keep the dream alive. In the early years, the Ministry of Children and Youth Services aligned with our philosophy that out-of-home respite for parents caring for medically complex children was essential to the health and well-being of families. With their support and funding, we opened our doors to provide much needed respite services in 2004. The Darling Home for Kids was the first paediatric hospice in Ontario funded by The Ministry of Health and Long-Term Care. Recognizing the necessity and benefit of hospice care for children, the Ministry provided funding that allowed us to welcome our first palliative child in 2006. Today we continue to provide respite and hospice care to medically-fragile children thanks to our strong partnerships with the Ontario government. The Cherry family’s efforts dramatically changed the destiny of the Home by putting it on a path to become the first class facility that we now enjoy. Don, Cindy and Tim’s efforts remain a lasting legacy for Rose. Milton residents were early champions of our cause, helping to raise funds and increase awareness for this unique resource in their local community. “I was originally approached by The Cedarbrook Society in 1998 to personally support a project located in rural Milton – Ontario’s first hospice for children in a homelike environment. As a result, this home has a soft spot in my heart as our community proudly came together and the Society’s vision became a community vision and the home was built with passion and dedication by volunteers and donors.”- Milton Mayor Gord Krantz. The demolition of the original building made way for a state of the art facility with details designed for medically fragile and technology dependent children. PCL Constructors Canada Inc., the Home’s builder, and many others in the Ontario construction community were moved by our vision and were instrumental in the Home’s construction. Working together, and with significant donations of labour and building materials, our vision was made into reality. 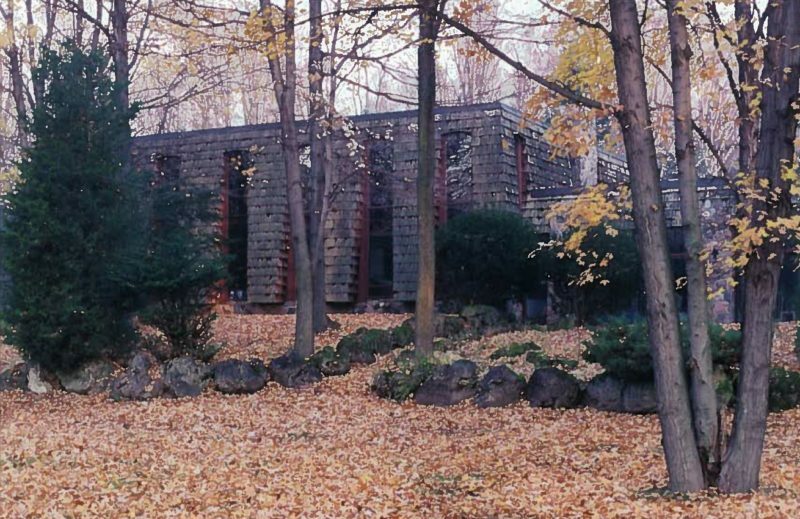 The Home was strategically designed for construction in two phases. 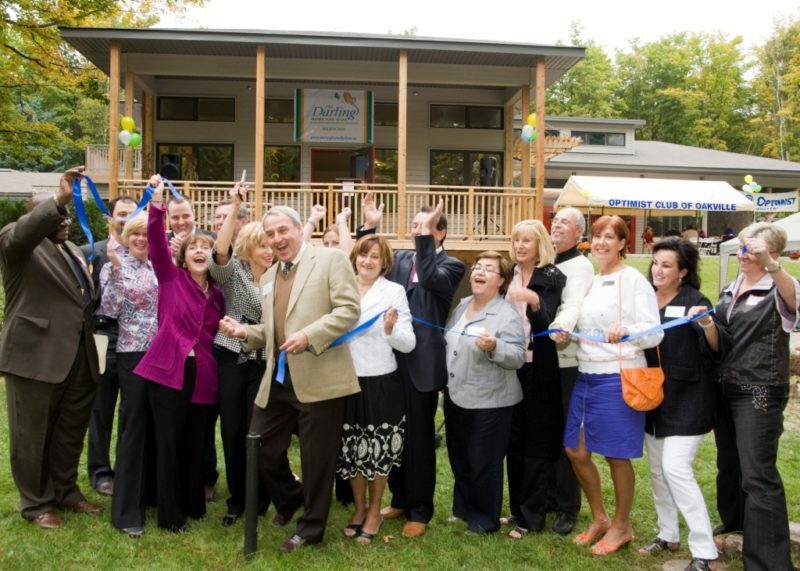 In 2004 we celebrated the grand opening of Phase I, which was a Home with the capacity to provide care for six children. In a few short years, thanks to the support of our Guardian and all of our donors, we were able to expand our Home and we celebrated the grand opening of Phase II in 2009. Each ribbon cutting marked the beginning of a new chapter for the unique home that can now accommodate up to twelve children. With too many supporters to name, we thank and appreciate all who have contributed to The Darling Home for Kids. F rom each individual buying a key chain or teddy bear at the Milton Mall, to our event attendees and major donors, every penny raised has gone beyond our walls to help children and families in need. You have shared in our vision and together we have made The Darling Home for Kids possible. Thank you to all of the friends who have helped us along the way. Our warmest thanks and appreciation to our Guardians, Michele Darling, Michael Eagen and their family for their incredible support of our special home, which is named in their honour.